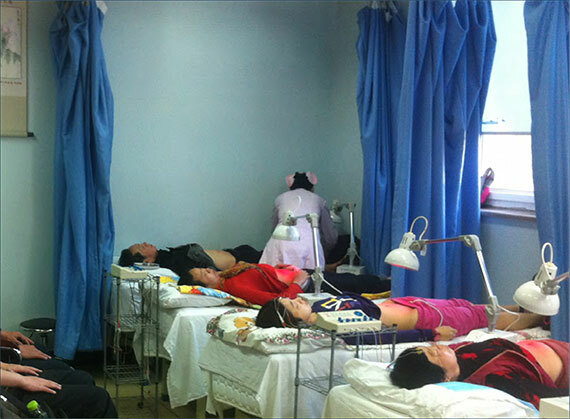 A few moments from everyday-life at the Eye Hospital in the great city of Beijing, China. Eye Hospital of Beijing is a big hospital. It offers the most common treatments, that both ancient and modern medi- cine has to offer. Every aspect of the diagnostics, the treatment and the recovery is mainly based and per- formed with the latest technology available,- but it is always in combination with the traditional Chinese medicine (TCM) that includes herbs and acupuncture. Even with surgical and more comprehensive treatments of illness and disorders, herbs and acupuncture plays a significant part. The economic gain using herbs and acupuncture is naturally very high for the hospitals,- but even the results and convalescence benefits from the combined treatment. It makes the bed days for patients after treatment decreased which again makes the hospital operations run more efficient. When treating nearly 1.200 patients per day, it is necessary to produce wanted results fast and precisely - with the best treatment available. Eye Hospital use strongly the latest of technology in diagnostics, analytics, testing instruments and use of advanced laboratories. 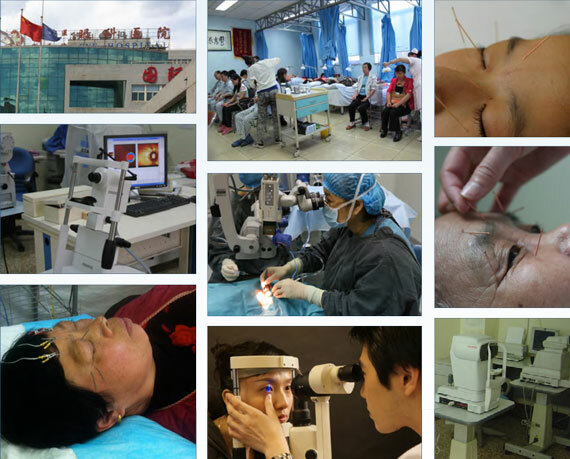 Combined with very well educated staff, doctors and professors, many of them with european or american Pd.D- degrees, the Eye Hospital really emerges as a world class hospital. That makes professionals from academic environments from all over the world to come visit the hospital. That give also the hospital a good reputation domestic, but also world wide. And excels with its results and research from cancer to stem-cells. As therapists and acupuncturists at St. Olav Eye Clinic, we feel very privileged to learn and cooperate with Eye Hospital of Beijing! They just makes us better.